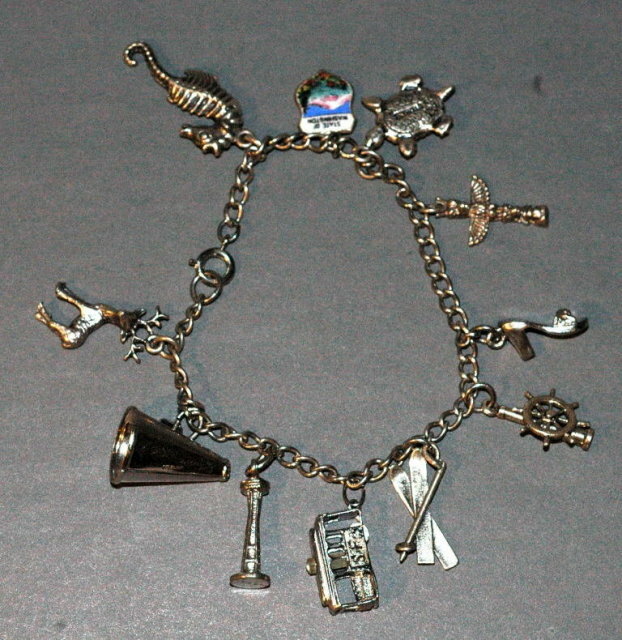 Nice old vintage charm bracelet with 11 charms. 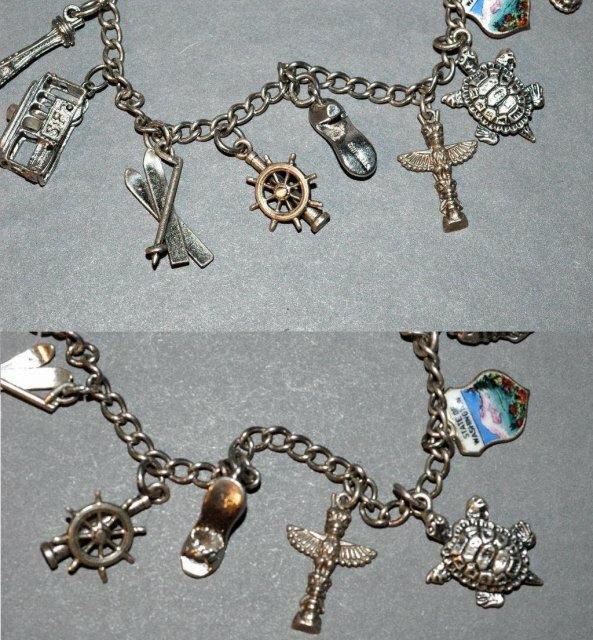 There are a few Seattle, Washington themes as well as some others. Included here is a Space Needle, a totem pole, an enameled shield for Washington state, a deer, a high heal shoe, a ship's wheel and skies. In addition there is a cable car, a sea horse, a cheer leaders megaphone, as turtle. 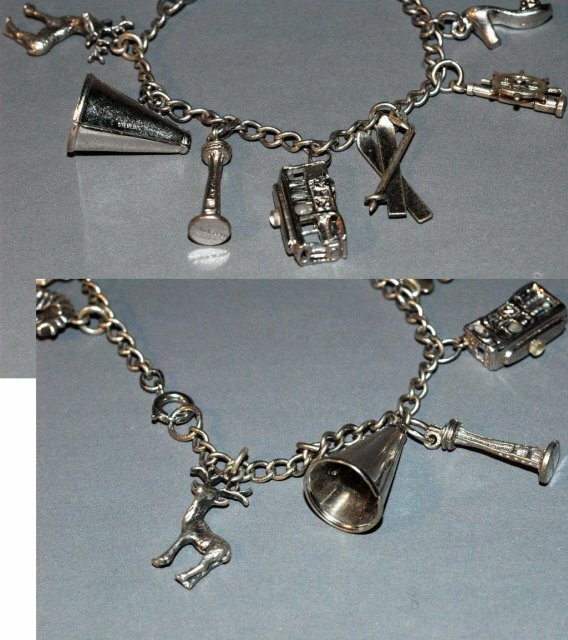 All are sterling silver. The condition is excellent but it is old with some darkening of the patina. 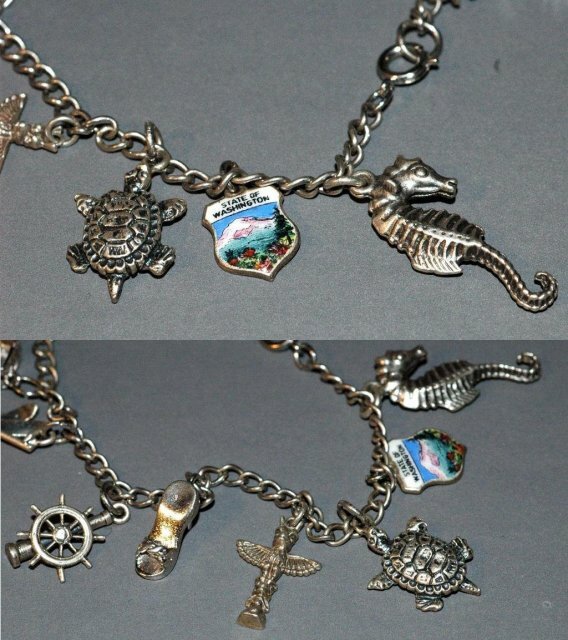 Items Similar To "Charm Bracelet Seattle Theme & other Charms"